If you want to know the best top single target attack type ninjas in the game, here's a table to help you. - A damage ranking based on the damage output of Ninjutsus and Secret Techniques (ST) by single target type ninjas. 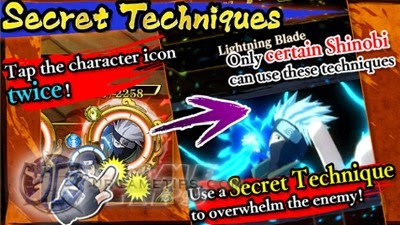 Note that added effects like Immobilization or Jutsu Sealing will not be considered here, we'll only focus on their damage output. - If a ninja has a (+Boost) or (+B) next to his/her name, that means that he/she has a Ninjutsu or ST that can boost attack. Boost is applied but the Chakra requirement of that Boost will get added. 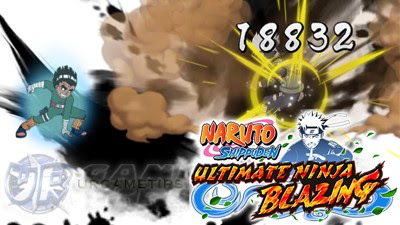 - This will also create 2 Rock Lee - Eight Gates (+Boost and Non-Boosted) for example, to show the difference. - Single Shot Damage: The damage output of a Ninjutsu on a neutral element target, useful if you want to find the highest Single Attack damage for "Chakra Stacking" (example: for dealing high damages to the next wave of tough enemies). - Rock Lee - Eight Gates (+Boost) and Sasuke - Ready Curse (+Boost): They have 11 Chakra Total because after using their ST, their next Ninjutsu will just require 1 Chakra to use. - Naruto - Rasengan: A non-boosted one is not available because his Ninjutsu activates with a Boost. - Naruto - 9 Tail's Shroud: ATK modifier used is the neutral one (10x) with +50% Boost (you can also spam his Boost to prolong it's effect and duration to up to 150% ATK Boost. Note that he will get 12x ATK against a Wisdom target. - Naruto - 9 Tail's Shroud (ST+B): Has a total Chakra of 10 = (8 base chakra -4 from ninjutsu but restores 2, wait for 2 more Chakra then execute ST once full. - Sasuke Uchiha - Curse Mark 2nd (ST): ATK modifier used is the neutral one (6x). ST will deal 9x vs Bravery targets though. He has 6 Chakra Total because you can use his Ninjutsu 2 times to restore his Chakra Gauge to 10, only using 6 raw Chakras. - Gaara - Protector of Sands (ST): If the enemy is immobilized, this will deal x16 attack instead (26k+ damage). - Utakata - Fleeting Tranquility: If the enemy has slip damage, this will deal x10 attack instead (15k damage). - Guy - Exploding Fists (ST): If the enemy is Body elemental, this will deal 12x attack instead (22k+ damage). - Naruto - Day of Vows (ST): If the enemy is sealed, this will deal 12x attack instead (18k+ damage). - Konohamaru - The Will of Budding Flames (ST): If the enemy is Attack Weakened, this will deal 11x attack instead (20k+ damage). - Naruto - Child of the Prophecy (ST): If the enemy is Wisdom element, this will deal 12x attack instead (18k+ damage). - Hidan - Worshiping Mad God (ST) = Damage is percentage based, depending on the HP of target.